Do you travel for relaxation? Or are you more interested in traveling for education and adventure? Travel means different things to different people and just like art is completely subjective. I was recently having a discussion with my parents and we were discussing travel styles. Although I have been traveling for over 20 years it only dawned on me that I am a local traveler. But what does that mean? When you travel as a Tourist, you’re doing those typically touristy things. 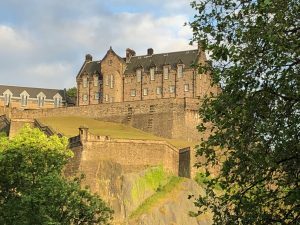 Take the Hop on, Hop off bus tours, go to the major tourist attractions and spend the day trying to get in as much as you can while you’re there. This is a fantastic way to travel whenever you are in a new city for the first time. Traveling as a local is a bit different and is my favorite way to travel. It’s when you go to a location and you do things you would normally do at home. Rent an apartment instead of a hotel room. Check to see if there are any concerts or local events that might be interesting to see. Or just spend the day doing absolutely nothing, like reading a book in a local pub, coffee shop or park. It’s when you slow down and take the time to really see where you are. Talk to the people who live there and ask them where they would eat or they would hang out. You’ll learn so much more about a place and it’s culture doing that than being on a canned bus tour. Finding an out of the way place in plain sight. 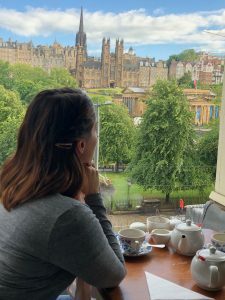 While in Edinburgh, Kayla and I were looking for a tea shop to get out of the rain and spend a bit of time off our feet from all of the walking we were doing. She noticed a sign for traditional Scottish tea in a very touristy souvenir shop on Prince Street. 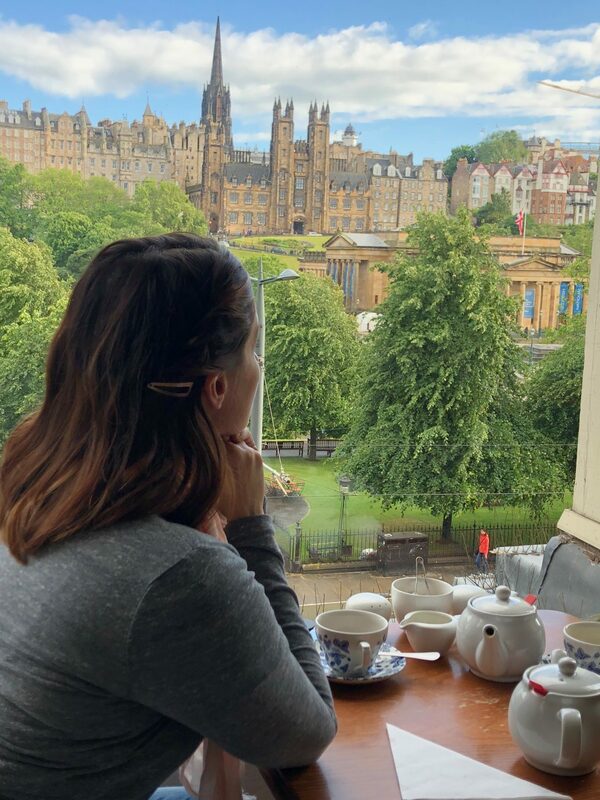 Two flights up from the souvenir shop was this cute little tea room with a view of Historic Edinburgh and the Prince Street gardens. Although we were on one of the busiest touristy streets in Edinburgh we only had to share the tea room with one other table. It was quiet and warm and I could have spent all day sitting there watching the people go by and the ever-changing weather of Scotland. It’s at times like that when you really experience the magic of a place. How do you travel? It doesn’t really matter. However you travel, what is important is that it brings value to your life. Travel is meant to expand and enrich. It makes the world smaller and at the same time bigger. So if you have the opportunity to travel. Use those vacation days. They serve a purpose, use them to recharge, reboot, take in some culture, and make new friends.